There has been some serious conversation as of late regarding the long-term viability of preference points systems. Many hunters have begun to see the writing on the wall, after years of point creep that there are some serious flaws in these systems mathematically and we may have just slit our own throats as a result of our greed for high-quality big game tags. The final straws to break the camel’s back so to speak were the massive error in judgement in Colorado that more than tripled the amount of hunt applicants to a point where no one entering the system after last April will ever have a hope of drawing a decent tag in their entire lifetime and when some in the Wyoming legislature have yet again began to float the idea of rolling out a point system for resident hunters, well let’s just say the reception for such an idea was less than cool. And here’s one huge reason why. Nationwide young hunter recruitment is down nearly 20%. This is an extremely alarming trend for those of us who know what that means for the future of hunting. One reason for this catastrophic drop in the West I believe, is the implementation of preference points systems over the past 30 years. For young hunters and newbies to the system the western preference points game has become the barrier to hunting that the lack of public land has become in the East, Midwest and South. The long-term result of a true preference point system like Colorado has is to shut out younger and newer hunters in the system in order to benefit the older and more loyal applicants in the system. The net result, unless you were not on the ground floor of many of these systems, you are screwed! The typical youth hunter in states like Colorado, Utah, Arizona and Oregon will likely never see a sheep tag in their entire lifetime. And the thought of a really high quality fourth season deer tag, or a trophy elk tag during the rut, are probably pipe dreams as well. Statistics have shown that young hunters adopt hunting early, prior to the age of 15, the reason why many states have begun to lower the minimum legal age to hunt. We need to get these kids and get them early or other activities will capture their interest permanently. 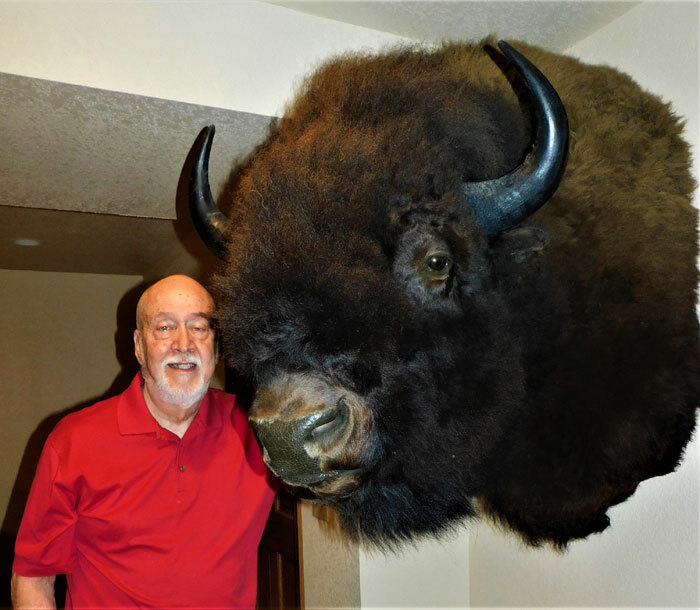 Preference point systems tend to push them out past the age of easy adoption which makes hunting compete with video games, sports, and other such activities, which was the case when I was a youngster growing up in Wyoming where the legal age to hunt was 14. Almost none of my high school pals hunted, thank God for my dad and grandfather’s stubbornness. If this is in fact found to be a major factor to young hunter recruitment, then where on earth do we go from here? That question is as tough as it is difficult to answer as many of us have literally vested decades and tens of thousands of dollars into a system that we thought would someday guarantee us the tag of our dreams, only to find out after 25 years or more of dedication, that mathematically we will probably die before we ever see a coveted tag in our mailbox. There are rough seas ahead for many states as applicants begin to get fed up and give up on these systems both before or after they draw the tag they have been waiting so long for. This along with the lack of hunter recruitment will eventually have a disastrous financial effect on state game and fish agencies throughout the West in the next decade or so. After publishing an article on the 11 dangerous pitfalls of points systems on our blog at Eastmans.com my inbox soon filled up with feedback from frustrated applicants nation-wide that are rethinking their future contributions to these systems. I don’t have an answer for this problem, certainly not an easy one. But if we don’t figure out a way to get more young and new hunters into the system we will all perish under the weight of our own insatiable lust for the best big game tags in the West. 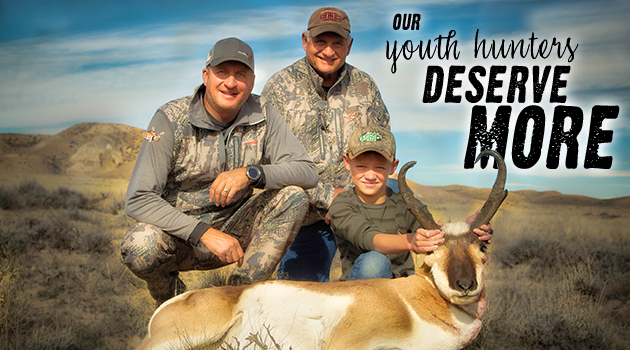 The post Our Youth Hunters Deserve More appeared first on Eastmans' Official Blog | Mule Deer, Antelope, Elk Hunting and Bowhunting Magazine | Eastmans' Hunting Journals. On this episode, Dan talks with Kevin Vanderploeg of Michigan about his 2018 deer hunting season. Actually, the story really starts in 2017 where was able to harvest a 156 10 point buck on public land in Ohio. During the summer months of 2018 he identified two shooter bucks in a 10 acre woodlot that made him focus on the area a little more. Knocking on doors to gain permission he picked up an additional 30 acres. During a scouting mission before the season started he found a buck bed and some old sign that got him excited for the upcoming archery season. The scouting paid off, he was able to harvest one of the shooters early in October. Then, later in the month and in to November he took two out of state trips to hunt public ground. Using digital maps that showed terrain feature, he was able to find some really good tree stand locations that resulted in him sealing the deal. I love talking to guys like Kevin who put in the time to locate the best possible locations and ultimately get the job done. Archery tradition of “Hunting the Hard Way” dying or is it already dead? 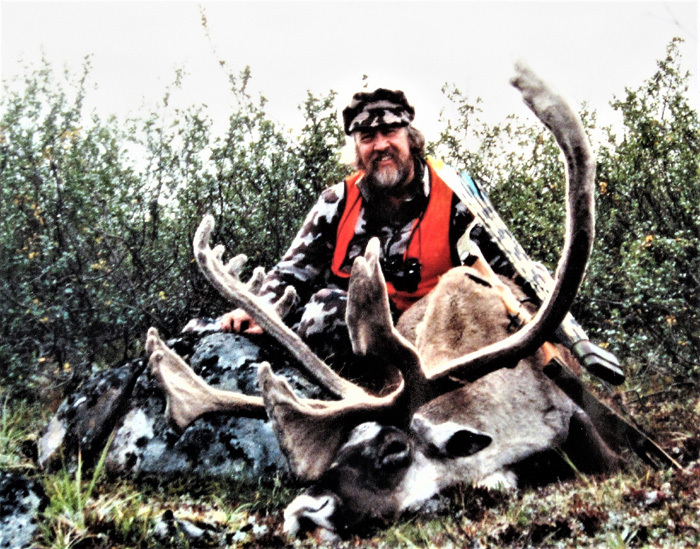 IN MY LAST COLUMN I briefly examined the positive and negative effects that modern technology has had on the ancient sport of archery and 21st century bowhunters. For those of us with lots of gray in our whiskers, folks who began shooting arrows at targets and game animals in the 1950s and 1960s, can likely recall crafting or buying our first longbows and recurves. 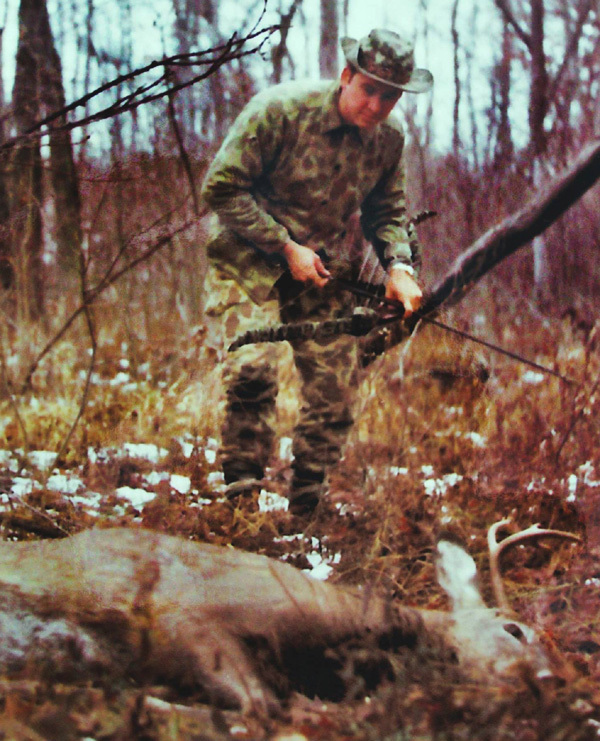 We mostly used tapered cedar or metal shafts with glue-on feather fletching and field points for shooting paper or hand-sharpened, store-bought, cut-on-contact broadheads for hunting deer and other woodland game. help achieve necessary penetration for quick, clean kills. shoot faster and bowhunting easier than using stickbows. This wild, free-ranging British Columbia bison fell to well-placed arrows after I’d stalked within 40 yards before raising my Mathews compound bow The one-ton giant is one of several bison I’ve taken over my 60-year bowhunting career and proof that broadheads can quickly drop even the largest beasts found on the North American continent. every 100 bowhunters tagging a deer). often include the annual rut when bucks are most visible and vulnerable. deer hunters to grow increasingly restless. antlerless permits and eliminating the late season are increasing. I’ve frequently shared hunting camps with rifle hunters where wearing blaze orange was the law. Caribou, like this Quebec P&Y bull, are a favorite challenge. I stalked him as he fed across the rolling tundra and stopped him with one arrow at no more than 30 yards. Challenge faced, challenge met. compounds and traditional bows held and shot vertically. Modern crossbows equipped with telescopic sights are gaining in popularity with more and more deer hunters. They’re easier to use, require minimal practice once zeroed in, and account for a higher number of deer kills than conventional bows in some states where they’re legal. 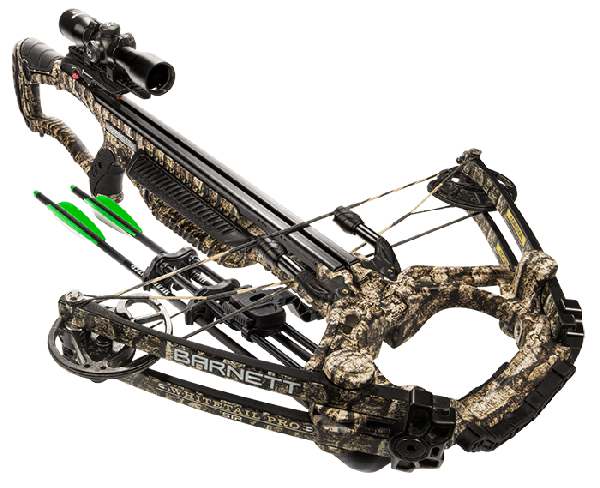 Archery purists say they are not for hunters who want the challenge of “hunting the hard way” with conventional bowhunting tackle. The reason is obvious? Crossbows are easier to use. 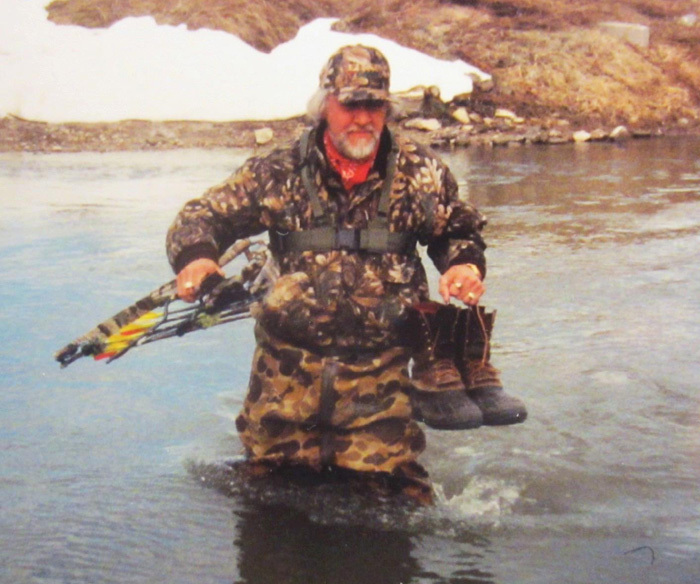 simply vertical crossbows doesn’t hold water for any objective hunter. or compound. I suspect this is generally true with a majority of folks. The popularity of crossbows is not surprising, really. account for the only area of growth of hunting license sales in some states. Based on the limited research I’ve conducted, it seems that increased crossbow license sales do not result in more hunters showing up in the woods and more revenue for Fish and Game Department coffers. The state of Wisconsin cites a trend that indicates many “new” crossbow shooters are in fact gun hunters who like the longer season and better weather, or they are former bowhunters wanting better odds to fill a deer tag than conventional bows and arrows offer. I oppose the use of crossbows during archery seasons except by physically challenged hunters. Why? Because they distort numbers of actual bow kills and thereby threaten the future of “hunting the hard way.” That’s the way I’ve hunted for six decades and will continue to hunt for as long as I have the strength to draw a bow and release an arrow. By Erik Barber from Bowhunting360.com. In the Spring, April and May bring warmer weather, chirping birds, green grass and, of course, gobbling wild turkeys. Most states offer a spring turkey-hunting season that provides ample opportunities to get into the woods during beautiful weather to bowhunt wild turkey gobblers. Before getting started, check your state and local regulations regarding season dates, approved bowhunting equipment, and license and tag requirements. 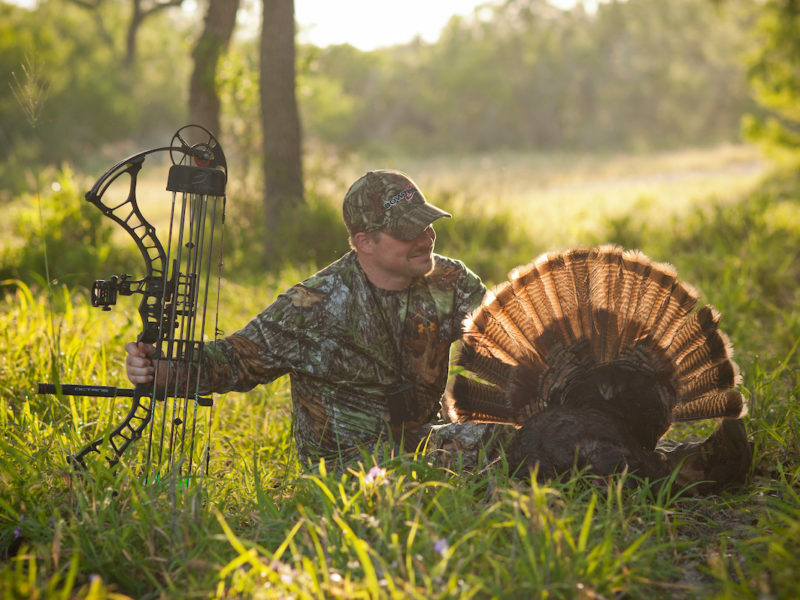 Wild Turkeys offer some of the most action-packed bowhunting opportunities you’ll ever know. If turkeys are nearby, you’ll hear a tom gobbling to attract springtime mates. This heart-pounding call will make your bowhunt memorable by itself. Meanwhile, spring’s pleasant weather, blooming flowers, budding leaves and chirping birds will keep you enthralled as you wait in your blind for that gobbling tom. Whether you’re a seasoned bowhunter or are just getting started bowhunting, turkey season can quickly become your favorite spring pastime. Hunters can shoot only adult males, called “toms,” and juvenile males, called “jakes,” during spring hunting seasons. The wild turkey’s breeding season runs through April and May, and causes males to strut and gobble repeatedly to attract females, called “hens.” A gobbling tom in full strut is arguably one of nature’s most beautiful sights. A strutting gobbler drops its wings so the tips drag the ground, and puffs out its breast while locking its tail feathers into a full upright position to form a magnificent fan. Because male turkeys are vocal and aggressive during the breeding season, they’ll often respond to calling. Turkey calls come in many models, including diaphragm calls, which are mouth-blown calls that require much practice but are deadly because they can be used hands-free. Another popular model is friction calls, which include slate calls and box calls. Friction calls are user-friendly. You make the sound yourself using a wooden peg, called a “striker,” to stroke the call’s slate or similar surface. With a box call, you slide its lid against the top of the box to make turkey sounds. In most cases, calls mimic a hen yelp, which is the sound female turkeys make while searching for a tom. However, some seasoned turkey hunters use a gobble call to provoke an aggressive response from toms. That call can lure in a gobbler that won’t respond to hen yelps. When calling to turkeys, you’re urging them to search for the source of the sound. Decoys can sometimes help bring gobblers into bow range. Decoys are available in several options. The most common are hen decoys, which are what gobbling toms desire. In addition, jake and tom decoys can coax in aggressive gobblers that want to drive competitors from their turf. Experiment with different decoy setups to find one that matches the turkey’s mood. Passive toms tend to be attracted to a lone hen decoy, while aggressive toms often rush in to a hen and jake/tom combination. Turkeys have keen eyesight, and detect the slightest movements. Pop-up blinds are useful for bowhunting turkeys. Bows require lots of motion when pulling them to full draw and settling on your target. A blind’s added concealment can make a big difference. Turkeys have a relatively small vital zone, roughly the size of your fist, so it’s important to get the tom within a safe shooting range – about 30 yards, depending on the bowhunter – before shooting. Whenever possible, use a blind to conceal your moves, and a decoy to hold the tom’s attention while it approaches. Most pop-up blinds are portable, and easily set up and taken down. Those features let bowhunters move to different locations with little effort. To start your turkey hunting adventure, check your state wildlife agency’s website for laws and season dates. Then visit your local archery shop to get the gear you need to take on this challenge. Video: Fox and Coyote Battle Frozen in Time, Or is Something Amiss?